Rainy days? Here is the look I picked to beat the bad weather blues, while waiting for spring to show up. 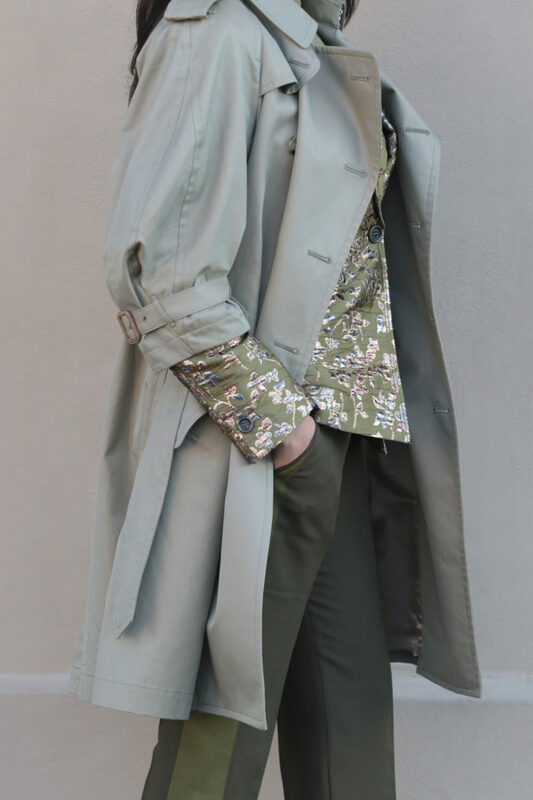 The key color is army green, one of the coming summer’s color trends. 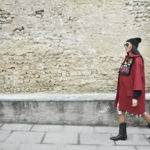 The cult piece: my beautiful Comme des Garcons trench coat. 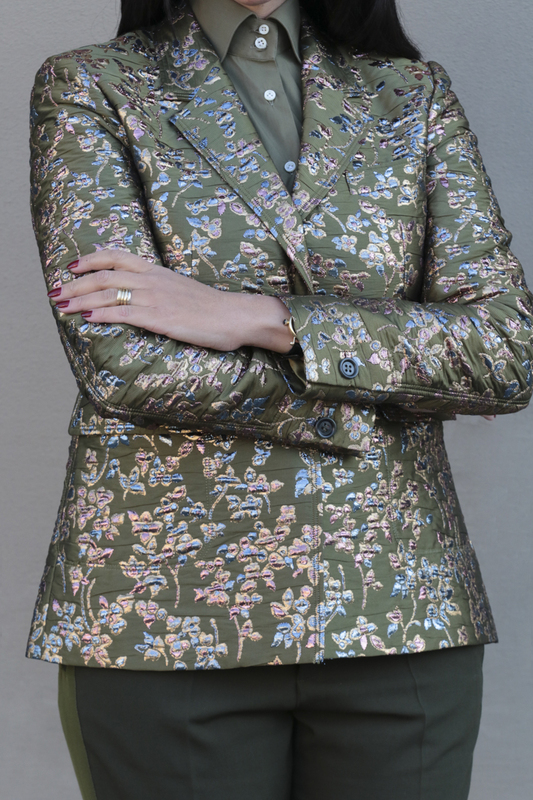 Underneath, a cool palette of greens and my precious brocade jacket by Mauro Grifoni. My personal touch: animal print booties!